Iconic watches make us tick. We love to curate vintage and pre-owned watches with proven character and like to tell their unique stories. We don’t look for average watches, we look for the quintessential watches of time. We call these WRIST ICONS. WRIST ICONS is at your service. 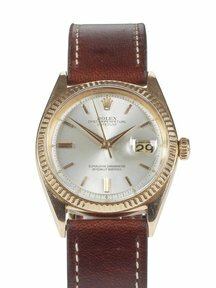 We are dedicated to help you discovering vintage & pre-owned iconic watches from the best luxury brands such as Rolex, Omega, Cartier and many others. We will be your guide into buying as well as selling iconic timepieces. Visit WRIST ICONS, a place where you can shop iconic watches, the finest watch straps, accessories and the coolest books. As a watch geek we have scoured the world to find the best for you.